This may be the one and only instance in which a picture isn't worth a thousand words. 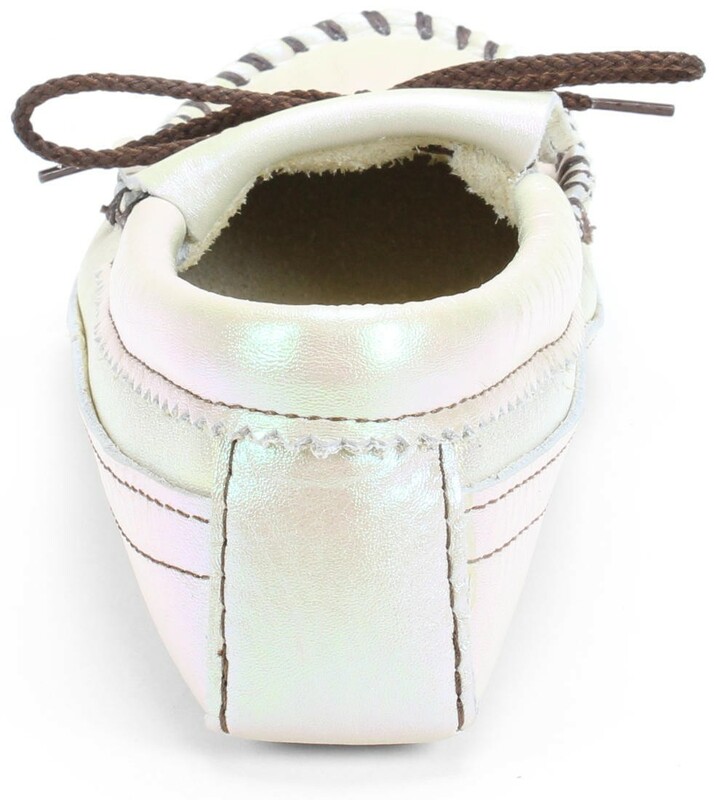 The leather used on our "Opal" Cota moc is truly special - it's a custom leather that we developed with one of our tanneries, in which the finish is completely iridescent; depending on the lighting and the angle of viewing, the color vividly shimmers either turquoise, pink or purple - a truly unique finish that's unique to us. If there's any '...unfortunately....' To this story, it's the fact that no matter what we did, we were unable to get the iridescent quality to be captured digitally. 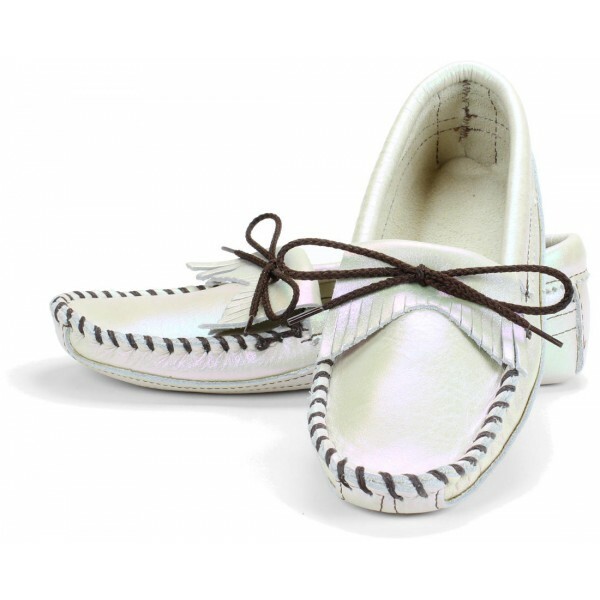 To be perfectly frank, these pictures don't do this spectacular moccasin any justice. If you're interested in purchasing these Opal Cotas but are unsure of the leather, we'd be happy to mail you a sample prior to ordering. You may request a sample through this website's contact page or by phone at 218-699-3978. 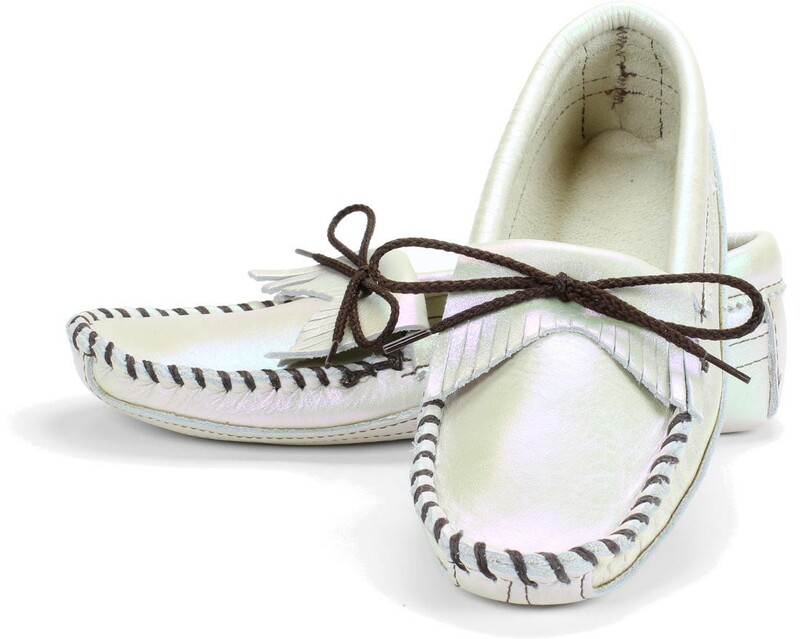 This canoe-style moccasin is a classic and it offers a great barefoot feel. These can be worn year round in warmer climates and they are perfect for spring through fall in northern climates. These are so swanky you can even dress them up! 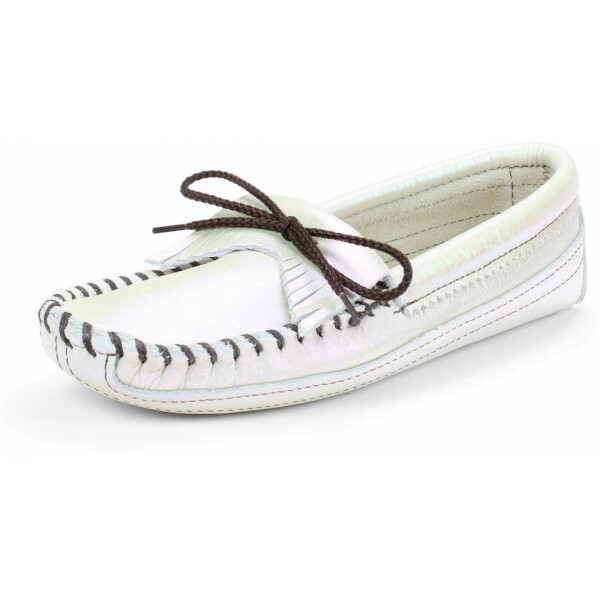 These are easily be worn with jeans, khakis, capris, shorts, leggings, sundresses or even beach cover-ups at the lake.